It can be hard for modern churches to stay engaged in their communities, especially as the culture surrounding our society continues to change. Too often, churches retreat into their own bubble – interacting only with other churches and their own congregations, and leaving the communities in which they’re located totally out in the cold. Church leaders have a responsibility – a duty! – to share themselves and the word of God with those around them. And in this article, we’ll take a look at 7 simple ways to do so. Lots of churches have events that are hosted on their grounds for their congregations – events such as 4th of July parties and other celebrations – but these events shouldn’t just be for church members. Next time your church is having a celebration like a cookout or a party, consider opening it up to the rest of the community. Post signs around the church neighborhood and tack up posters to telephone poles and shop windows. Post about the church event on Facebook and “share” it with friends – do whatever it takes to get the word out. The church doesn’t have to push an agenda at these events. You’re not trying to convert community members – you’re simply looking to show them how God acts through the church, and be an example of his grace. You’ll be surprised at the community reactions you’ll see when you do so – being honest, open, and allowing all to come to your events can create quite a bit of good will, and spur some folks into learning more about your church, and your beliefs. Vacation Bible Schools are fantastic ways to engage with the community. Summer is difficult for a lot of families – they don’t have a lot of childcare options, and often don’t have enough money to pay for summer childcare. Vacation Bible School gives churches a great way to provide the community with a necessary resource – free childcare – and pairs it with a great Biblical education that’s targeted at kids. VBS is fun, kids love it, and the community will appreciate your church’s efforts at making their lives a bit easier. Do you have homeless people in your community? Are you near a shelter? Organize a trip to the shelter to help – you can sponsor meals, aid in fundraising efforts, or provide a concert or a gospel ministry to the residents of the shelter. As Matthew 5:42 says – Give to the one who asks you, and do not turn away from the one who wants to borrow from you. Living out this mission by helping those who are in desperate need is a great way to engage with the community, and glorify God through selflessness. Engaging in the community can be as simple as cleaning up! If you live in an urban area, there’s probably plenty of litter and other trash that you can help clean up, and there is a need for beautification even in rural areas. You can also engage directly with community members by going door-to-door in the fall to rake leaves, or by shoveling snow during the winter. It’s amazing what a simple gesture of goodwill such as this will do to brighten the hearts of those in the community. Local sports leagues are great ways to meet people in your community. Slow-pitch softball is especially popular among churches, as it’s a lower-impact way to enjoy the companionship and fun, friendly competition that sports has to offer. Consider joining your local league – or starting one of your own! You’re sure to attract people from far and wide in the community, and engaging with these people on a personal level is the first step towards sharing the Word of God. Do you have an expert plumber in your church? A top-notch tax accountant? A mechanic? Consider offering the talents of your congregation to the community – if they agree to it, of course. You can assemble a volunteer team of people who can provide free services to the needy. By doing so, you follow in the example of Christ, and help to show the glory of God and his Church, while engaging with community members on a truly personal level. It’s not enough to simply engage with the community once – you should seek to keep them in the loop about activities, special services, and events as much as possible. An old-school way of doing this is with mailers and flyers – but these are not too effective as promotional tools. Modern churches can take advantage of services like DialMyCalls. This sophisticated messaging system can send pre-recorded voice and SMS text messages as well as emails directly to recipients, keeping them informed of whatever is happening at your church. You can hand out flyers with information about your DialMyCalls system, and community members can opt-in to communications, and stay informed about any upcoming events that you’re putting on. This allows you to focus on truly engaging with those who wish to learn more about Christ by maintaining constant contact – a valuable thing in our loud, modern world. Church growth doesn’t just mean a rise in tithing, attendance, or notoriety – growth can be as simple as watching congregation members who engage with the community grow in their walk with Christ as they minister to those around them. 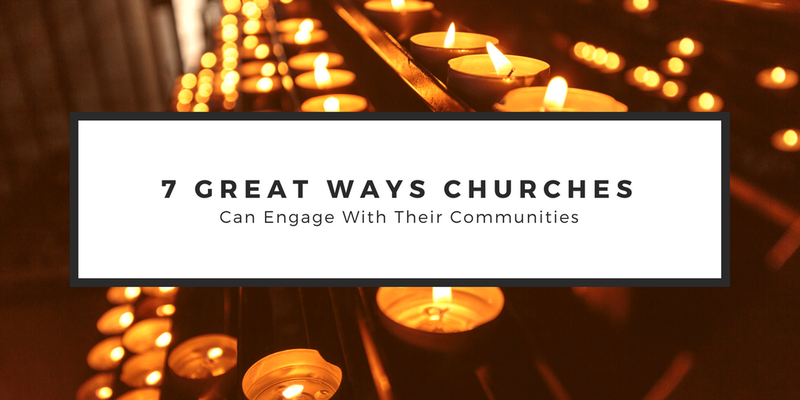 Community engagement is critical for a healthy church that follows the example of Christ, and for a congregation that follows the example set by Jesus. So don’t retreat into your “bubble”. 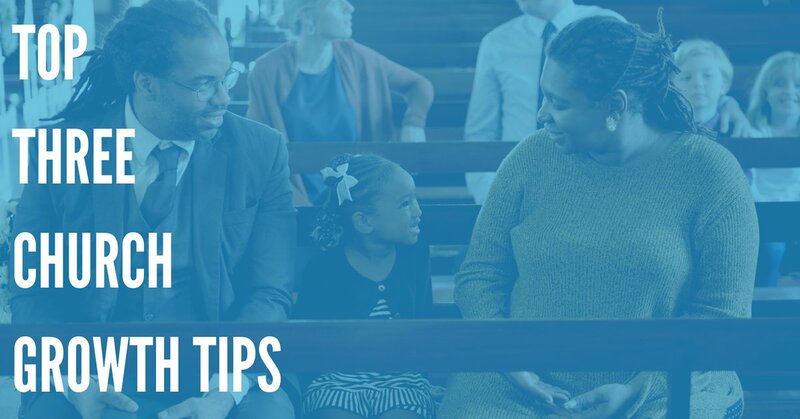 Follow the above tips, and enjoy the benefits that community engagement can bring to your congregation.